Imported from Italy, the Crono Leather Armoire is unique in its sophisticated design and contemporary style. The Crono Leather Armoire exerts opulence and elegance while upholding high quality standards and flawless craftsmanship. The Crono Leather Armoire is a perfect complement to the Crono Leather Platform Bed. 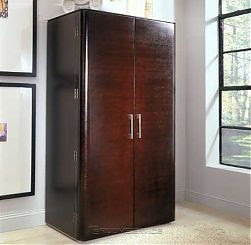 An impressive centerpiece in any modern space, this spectacular modern armoire inspires tranquility. It speaks of exquisite taste and compliments any modern decor. 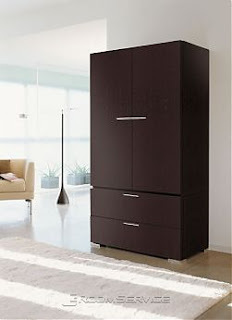 The Revine Armoire by Rossetto is the ultimate in contemporary furniture. 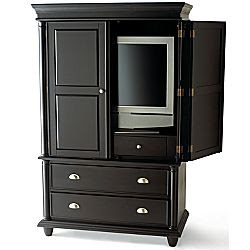 Revine Armoire is available in a deep rich wenge finish. The Armoire sits on a square base and features full length doors that are rounded on the outer edge as well as metal finished drawer handles. Both doors open to reveal a very spacious storage area. Revine Armoire is a perfect complement to the Revine Bedroom Set. Simple in design and attention to details in the Revine Armoire is sure to impress and add a touch of class to your contemporary decor. 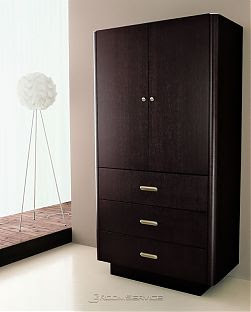 Imported from Italy, the Enter Armoire in a Wenge finish is unique in its sophisticated design and contemporary style. The Enter Armoire exerts opulence and elegance while upholding high quality standards and flawless craftsmanship. The Enter Armoire is a perfect complement to the Enter Platform Bed. An impressive centerpiece in any modern space, this spectacular contemporary armoire inspires tranquility. It speaks of exquisite taste and compliments any modern decor. 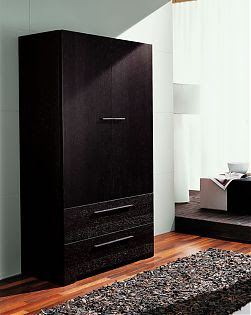 Imported from Italy, the Meti Armoire in a Wenge finish is unique in its sophisticated design and contemporary style. The Meti Armoire exerts opulence and elegance while upholding high quality standards and flawless craftsmanship. 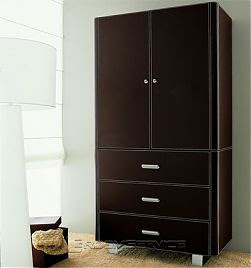 The Meti Armoire is a perfect complement to the Meti Platform Bed. An impressive centerpiece in any modern space, this spectacular modern armoire inspires tranquility. It speaks of exquisite taste and compliments any modern decor. Imported directly from Italy, the Soho Armoire in a rich wenge finish is unique in its sophisticated contemporary design. The Soho Armoire by Doimo upholdes high quality standards and flawless Italian craftsmanship. The Soho Armoire is a perfect complement to the Soho Platform Bed. An impressive centerpiece in any contemporary space, this gorgeous modern armoire inspires tranquility. It speaks of exquisite taste and compliments any contemporary decor. Weston Jewelry Amoire-Closeout! 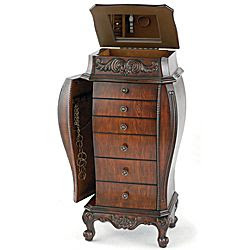 Traditional jewelry armoire features carved wood feet and a dark walnut finish. Lid raises to reveal mirror and storage area. 3 small drawers and 3 larger drawers are felt-lined. Side doors open and feature hooks for hanging necklaces. Crafted from wood and wood composites. 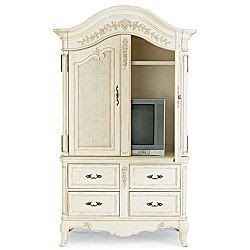 18x13x36"H.
Groveton TV Armoire Armoire holds up to a 32" TV. 2 bottom drawers and 2 drawers behind double doors. 44x22x70"H. Item(s) with this symbol have additional delivery charges. Total delivery charges will be reflected at checkout.